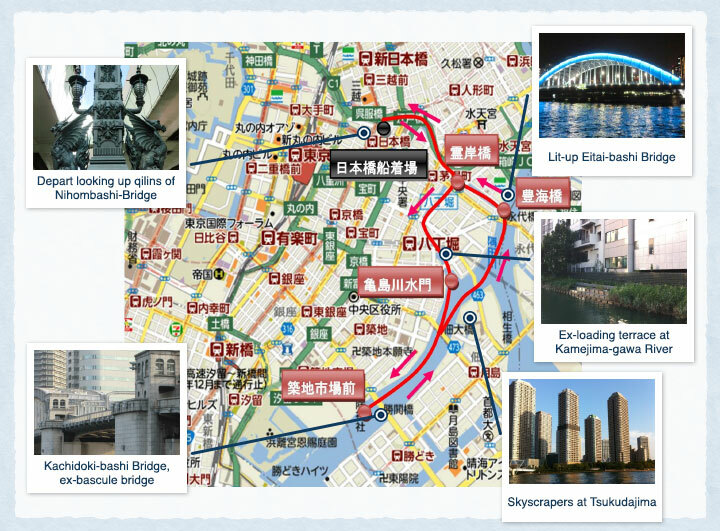 Tokyo Private Sake Cruise (Sumida River) with a certified Sake sommelier ! 90min.river cruise by a boat. Time could be arranged between 12:00－21:00, depending on your choice of day, twilight or night city view. Sushi lunch can be arranged by request prior to the cruise day. The whole boat can be privately reserved for 1 to 11 people but requires a 10 +days prior arrangement. 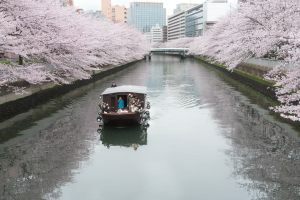 If you are scheduling a trip to Tokyo and interested in the experience of a Japanese Sake cruise please contact us with the date and number of people attending. Ran Isobe, the Sake sommelier , will directly assist you in English/Japanese to arrange details of your exclusive Sake tasting cruise. Sushi lunch will be an additional 3,000yen per person. If you prefer any other type of Japanese food for lunch, that can be also arranged. Prices may vary. 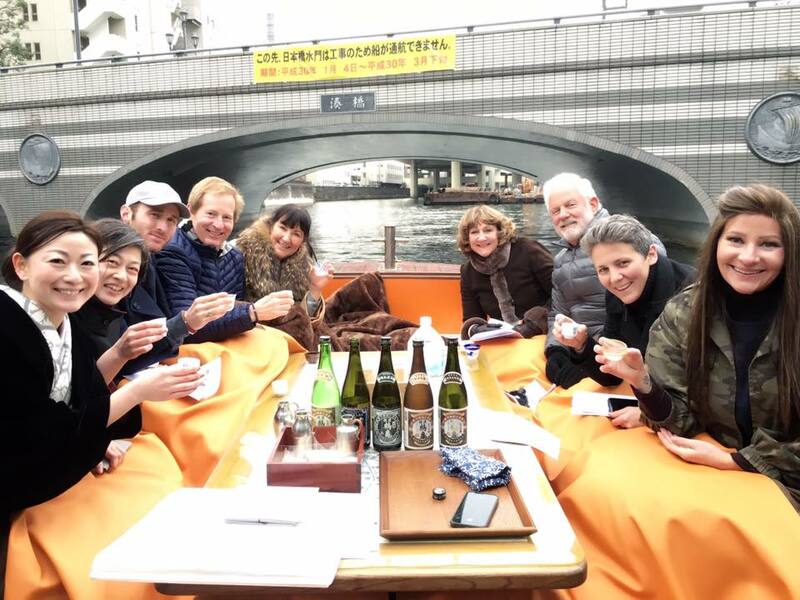 Your Sake tasting cruise can be customized to your liking for a private cruise reservation. Please contact us to discuss your plans. ※Meet us at the pier at least 15 minutes before departure. We value punctuality. Please specify date and time you would like to reserve with number of guests. We take your reservation for a cruise based on the following terms and conditions. Within 10 days from your receipt of the confirmation, pay full cruise fare through PayPal. Without PayPal membership, still you can process your payment online. If your payment is not received by the stated due date, your reservation is automatically cancelled. Your reservation does not come into effect at the time you send us a reservation request through an e-mail. We will reply to you within 48 hours from our receipt of your request whether we are able to take your reservation or not. After we finalize with you the date and time of your cruise, we will issue a reservation confirmation in which our payment instruction is stated. Your reservation comes into effect when we confirm our receipt of your payment. We accept cash, bank transfer, or credit card by PayPal. Private Charter Cruise: Full payment within 7 business days after your receipt of our reservation confirmation. Following cancellation fee is charged if you cancel your reservation according to your convenience. Cancellation fee is not charged until 14 days before your cruise date. Reservation made within 14 days from your cruise date is subject to the above cancellation fee at the time your reservation comes into effect. We are entitled to cancel your reservation by a notification in advance in case of the following. When we judge weather and hydrographic conditions exceed our safety operation standards. When a compelling event such as disaster, fire, boat’s engine trouble occurs. In case we cancel your reservation due to the reason stated in 3., your payment shall be returned. Ms. Isobe has been teaching Japanese manner and etiquette at various locations, and has published many books on this subject. Ms Isobe is a certified Japanese Sake Sommelier as well, and has been a semi-finalist at the World Kiki-sake Competition. She has also held seminars for large sake breweries such as Kikumasamune, Gekkeikan and Hakutsuru. Application for Sake cruise is temporarily closed. I will re-open the application form near future.